Ok, I realize I have purchased practically the whole line of Really Good Stuff’s neon bins…from paper baskets to pencil baskets. 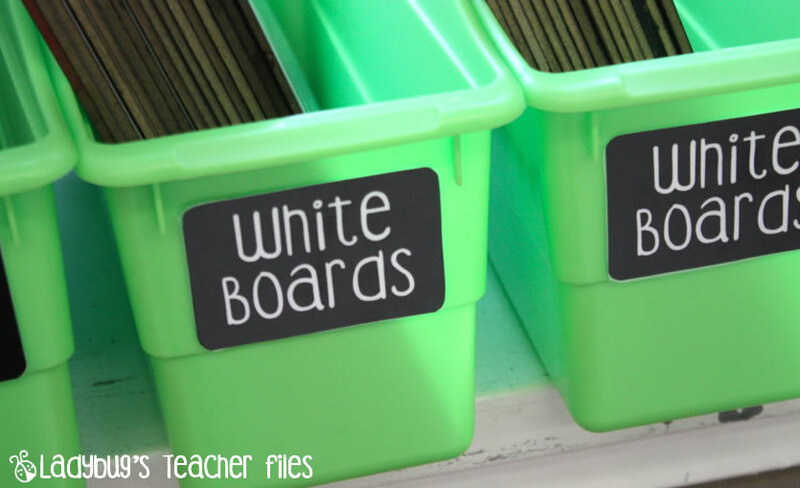 So how could I hold back from getting matching book bins? Actually, they were kind of a mistake that worked out well. 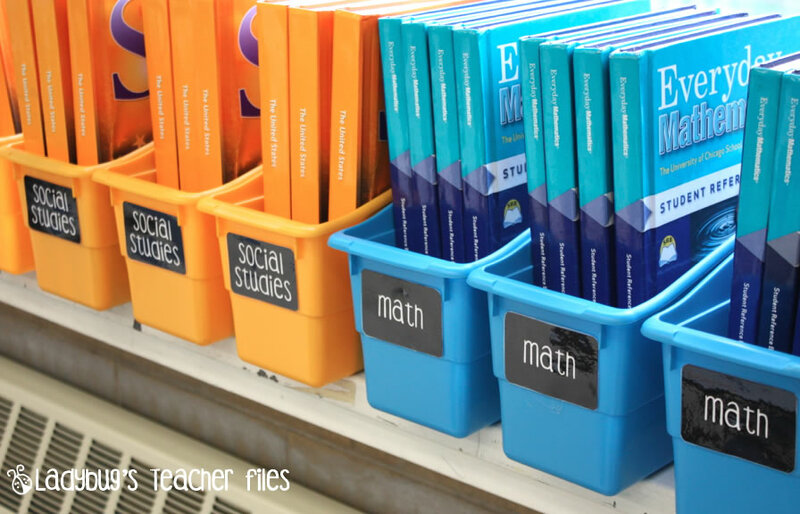 Since my students use tables rather than desks, I thought these would be ideal to hold their books and things. They kept falling down. And I couldn’t take that sound all day! So we did a switcheroo (switcharoo? Too tired to look it up!) and used them for our textbooks and whiteboards along one of our three windowsills. (Normally I don’t like to block any of the natural light coming in from the windows because I love it…but I don’t mind in this case because the bins fit in so nicely…and they don’t fall down). And I LOVE having the text books in these because it looks so organized and there’s no way they can be a mess. They have to be put in nicely! Please note: This file is intended for personal use only and is not to be used to create any other file (to sell or share). Thank you!! 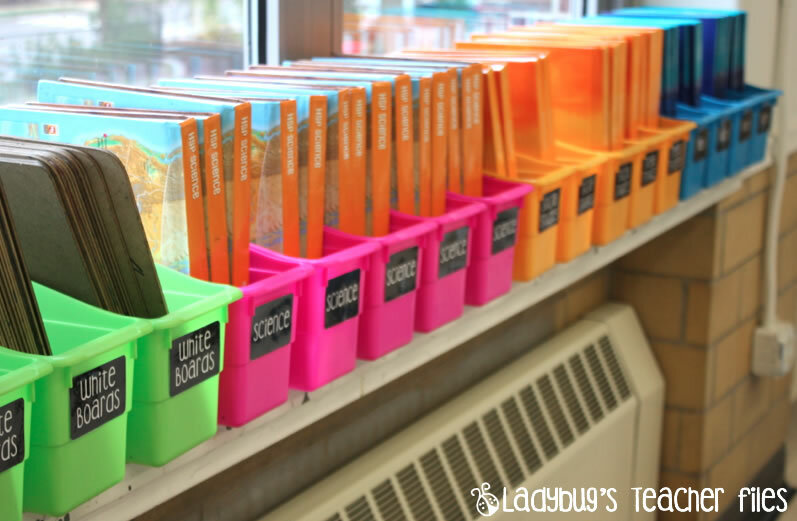 Classroom Library: Cheap way to add books! Each team in my classroom shares a crate. The crate fits all 10 texts (Reading and Math) – 5 kids per crate. The person that sits next to the crate has to be responsible to pass the books down the table until they get to the correct person, and to keep the crate nice and neat when they get passed back. It works since there is no way to fit all the hardback books in their desks. Oh, wow! What a helpful idea. You are truly the organization queen. The new and improved Really Good Stuff bins come with a "stablilizer wing" that helps them stay up. It's literally another piece of plastic on the bottom that sticks out to the side and keeps them standing strong! When I ordered a second class set this year, I got those and I love them! My old ones (like you have) still want to fall down but I have the kids keep them in a certain spot next to their desk leg bar and their chair leg bar and they are fine. I really like what you did with yours though! How smart! So pretty. 🙂 Love the pop of color. 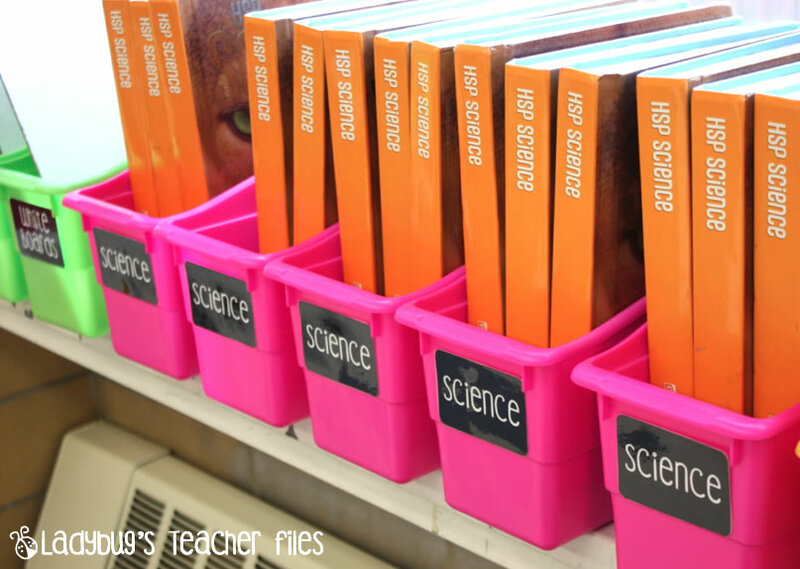 I love the bright colors of your classroom! And the black just pops out. I am so making these for my browsing boxes. Thanks for sharing! You've been Boo-ed! Hop on over to http://www.missnelsonsgotthecamera.blogspot.com/2012/10/boo.html to check it out! Happy Fall!